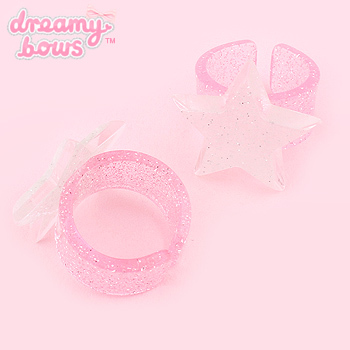 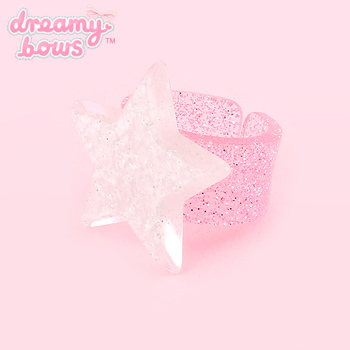 This lovely sparkling acrylic ring is cute and fun, and works perfectly with a Fairy Kei co-ordinate or any other sweet kawaii style. 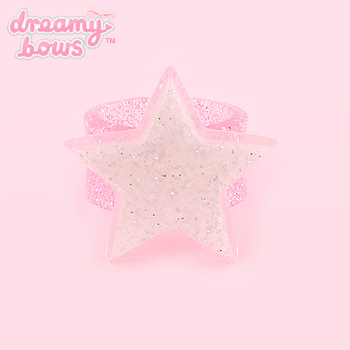 Cute and sparkling, acrylic single star ring, embedded with shimmering glitter. The ring itself is chunky and sturdy, and of course just as glittery.